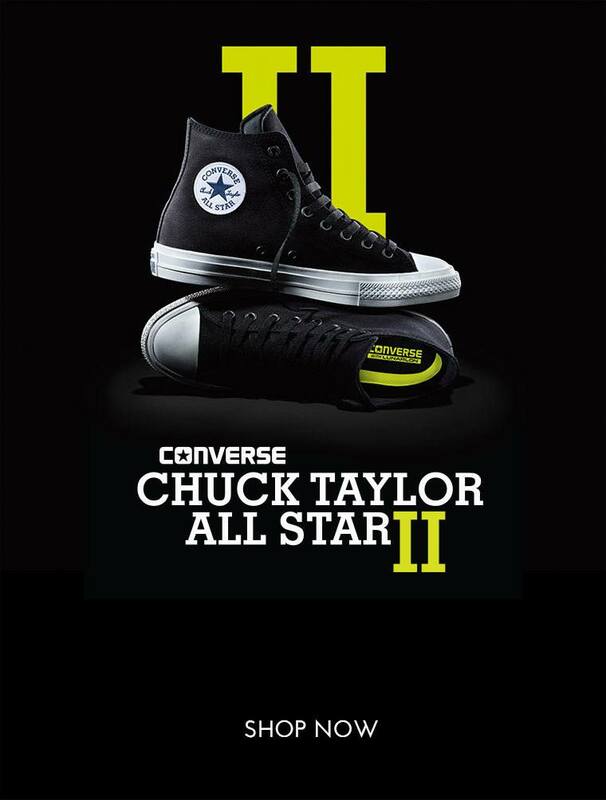 Did you know that the Converse Chuck Taylor All Star was released already in 1917? 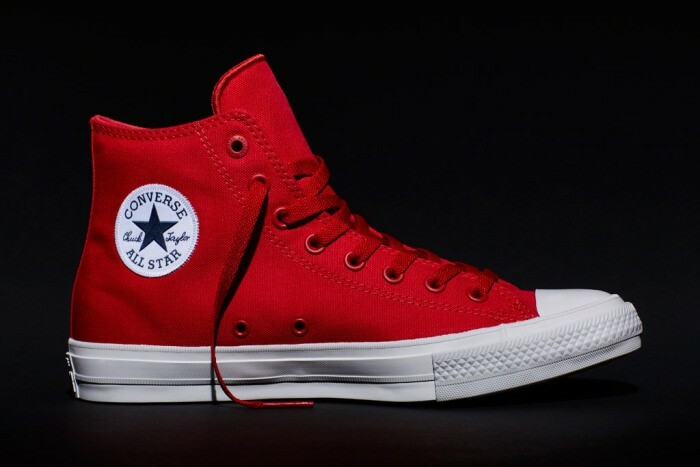 The Chuck Taylor All Stars are an American design classic, and the design hasn’t really changed in almost 100 years. Sure, you can now get the Chucks in all the colors of the rainbow and design your own too, but the actual design of the shoe hasn’t changed even when the colors and prints of the shoes have. Well, not until this summer. 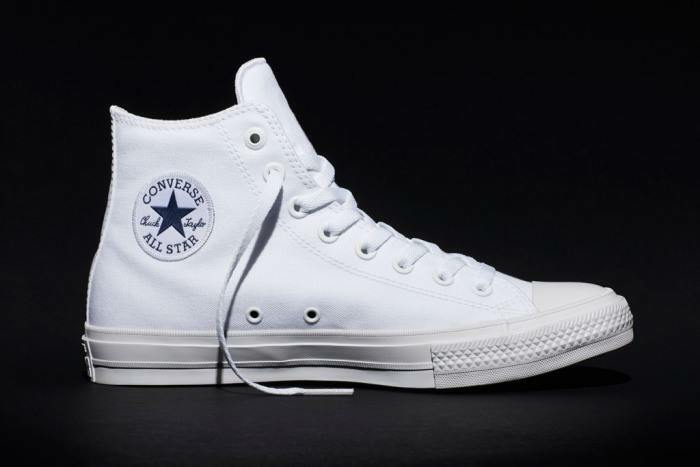 Converse just announced their newly designed Chucks, titled simply Chuck Taylor All Star II, releasing in stores on July 28th. The Chuck Taylor All Star will continue to be sold by its existing retailers, and the Chuck Taylor All Star II will be available at select retailers. 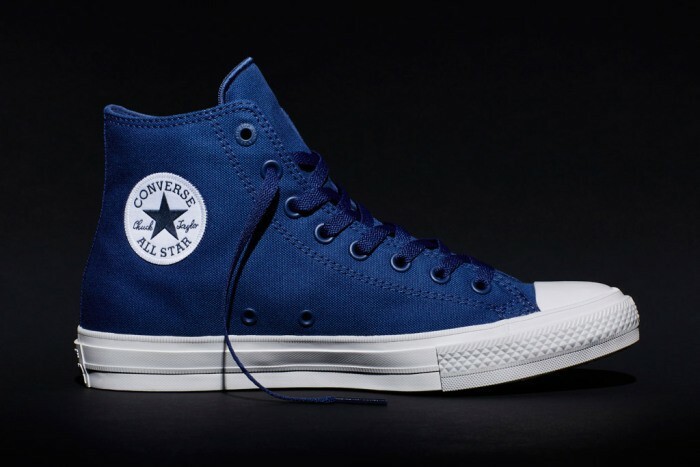 With a quick look, not much has changed, the shoes look just like a premium version of the old ones, and that’s exactly what they are: premium Chucks with several upgraded features. But there is much more than what meets the eye. 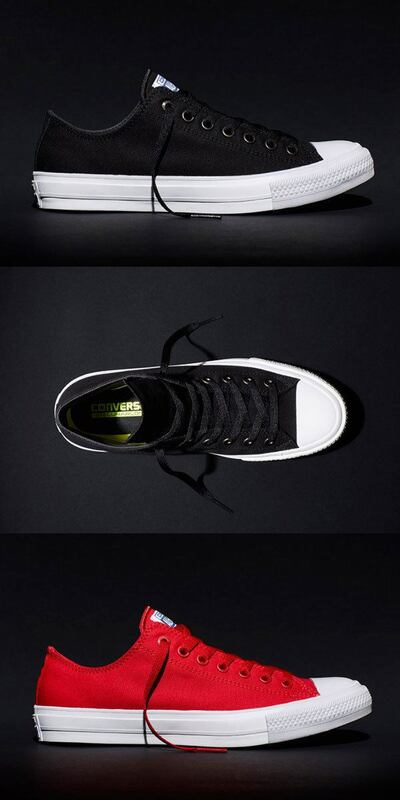 The comfort and support of the shoes has been improved, and this should come as big news for Converse-lovers. The All Star II has better foot cushioning and arch support, made with Lunarlon technology provided by Converse’s parent company, Nike. A soft and resilient foam core that helps more evenly spread out impact, Lunarlon makes the Chuck II more comfortable than previous Chucks. An inner micro suede lining also makes the Chuck II feel a little more breathable and better quality than a standard All Star. On the top the All Star logo is embroidered, and the canvas is better quality too. In all measures, this is the lux version of the classic. said Damion Silver, Converse’s footwear design director for the men’s All Star. said David Allen, GM and VP of Converse North America. 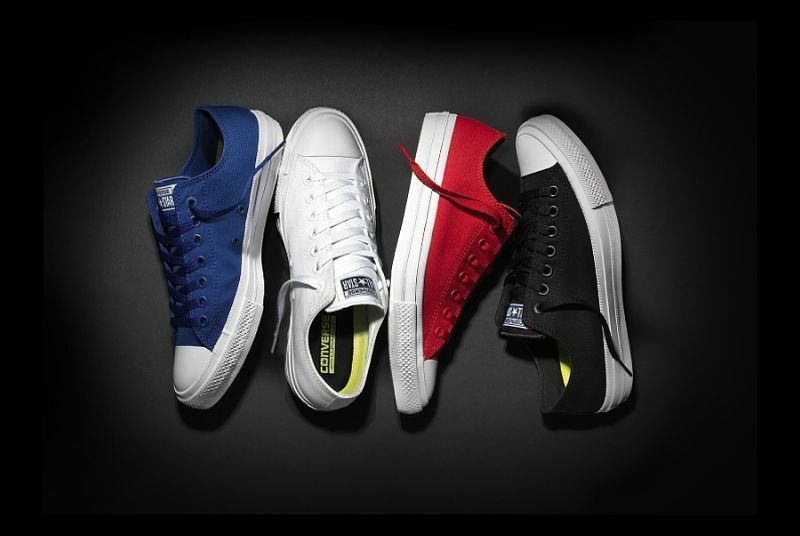 The Chuck Taylor All Star II will hit the stores on July 28th, and will be available in four colors: black, white, red and blue. The high-top will have a $75 retail price and the low-top oxford will cost $70. I am pretty glad I didn’t do the back to school shopping for the kids yet. Love Chucks. But, I’m really not seeing such a big difference from the original – which is perfectly fine because I do love the original!